Coronilla varia of Michigan Flora. 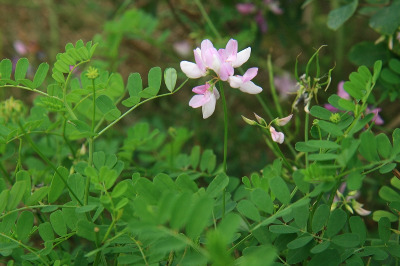 A European species, heavily promoted for erosion control and a rapid ground cover, becoming too well established sometimes and spreading extensively on roadsides, fields, and banks. First collected in 1930 in Oakland Co.
MICHIGAN FLORA ONLINE. A. A. Reznicek, E. G. Voss, & B. S. Walters. February 2011. University of Michigan. Web. 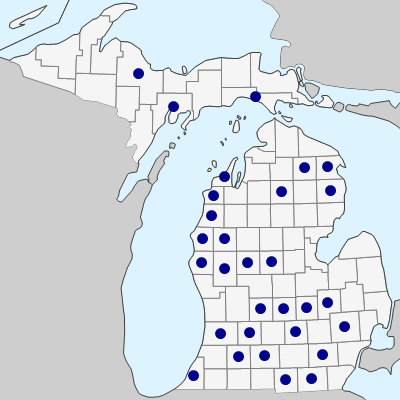 April 18, 2019. https://michiganflora.net/species.aspx?id=1282.